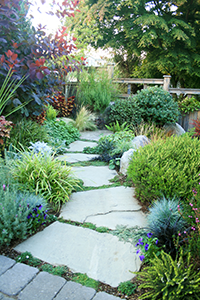 Lisa Port APLD is a Certified Landscape Designer and owner of Banyon Tree Design Studio in Seattle WA., a landscape design and architecture firm that has been in business for over 10 years. 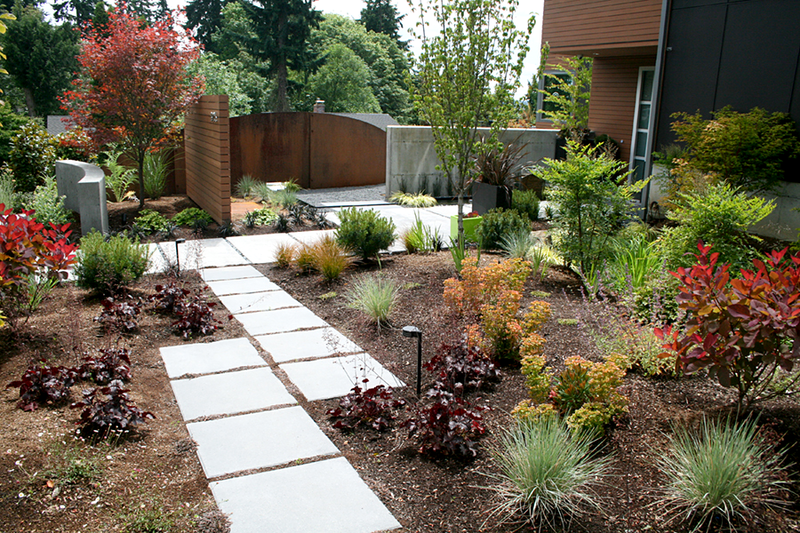 She is a Licensed Washington State Architect and has been a Certified Landscape Designer since 2008. An APLD member since 2004, Lisa served as APLDWA Chapter President between 2009-2010, and now is an active member on the National APLD Board as the Advocacy Chair. 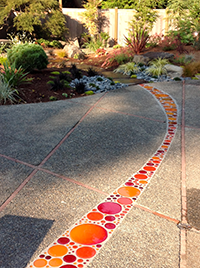 Lisa speaks on a variety of subjects and has taught Landscape Design classes at South Seattle Community College. In 2011, Lisa participated on the Technical Advisory Committee with colleagues from WSNLA and WALP to develop the new Sustainable Landscape Professional Certification program in Washington, becoming a charter member of the program in 2013. Also this year, she was the recipient of the Bruce Briggs Legislative Award from WSNLA. Lisa began her work in design at WSU graduating with an architectural degree and becoming licensed soon after. With husband Chad, Lisa served as a Peace Corps volunteer in Vanuatu (South Pacific) for more than two years and it was through this experience that she began to shift career focus to the exterior design of spaces. Moving from architecture to landscape design was a gentle shift, but one that allowed for the careful attention to detail between home and landscape, and the expression of materials, colors, form, line and balance, to be fully realized in both the built and natural environments. Banyon Tree Design Studio (the name comes from the large, canopy trees that embrace villagers in Vanuatu) is a design-only firm that has been blessed with very strong relationships with highly qualified landscape contractors and the best clients in the world! Banyon Tree creates landscape design solutions based on traditional art principles while embracing new technology that deals with stormwater management, low-impact development techniques and sustainable landscaping practices. 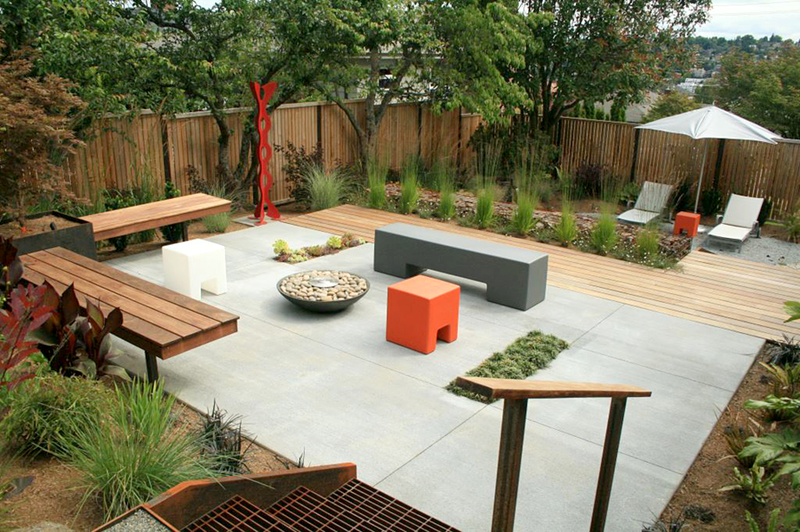 The landscape designs are timeless, beautiful, and functional, and are installed to the highest quality level. 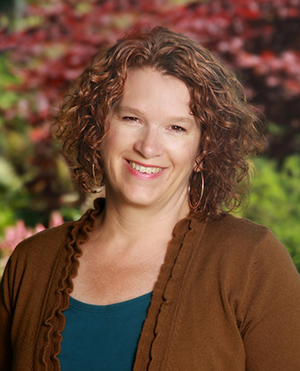 Becoming an APLDWA member in 2004, Lisa found an awesome community of like-minded professionals! Mentorship, inspiration, and educational experiences offered much-needed support in the beginning. Now she can give back as a passionate, outspoken advocate for right-to-practice issues and supporter of higher standards in the field of landscape design. Lisa has been very grateful for the opportunities that have come with involvement in APLD; leadership at the state and national levels, involvement in the development of practice laws affecting landscape designers, numerous life-long friendships and community. In fall 2013 she will begin teaching Landscape Design to a new generation of designers at Edmonds Community College. Contact Lisa at lisaport@banyontreedesign. The landscape design of Spira Mirabilis (The Miraculous Spiral) grew from homeowner desire to utilize the Golden Rectangle proportions and the geometry of a spiral created through mathematical equations. 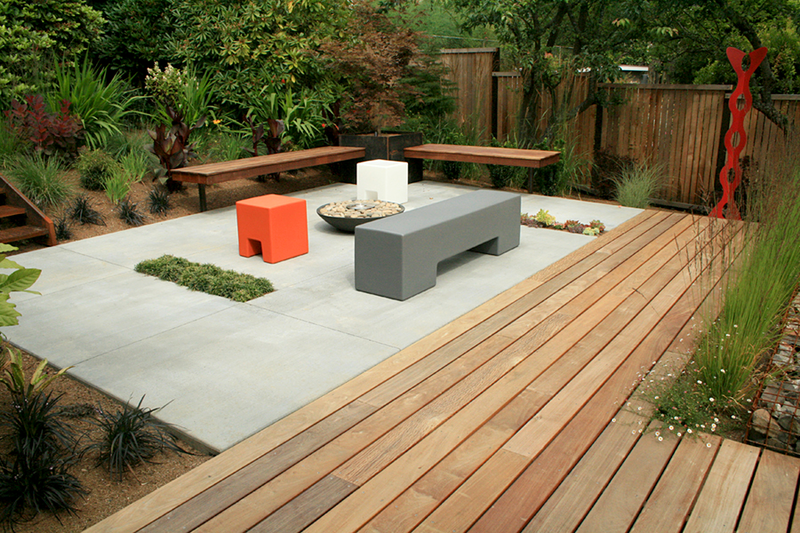 A mathematician himself, he wanted to incorporate an organizing principle that exists in nature and apply the form and calculations to their outdoor living environment. 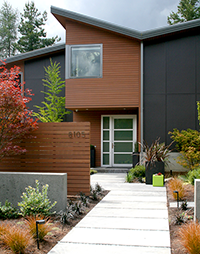 The newly constructed contemporary-styled home on Mercer Island designed by architect Chris Luthi, employs golden mean rectilinear proportions within the floor plan and elevations of the house. Incorporating this ideal into the landscape design, the exterior spaces flow out from the house at the entry, the mid-level spa patio, the vegetable garden, and the mother-in-law studio garden located on the lower level. 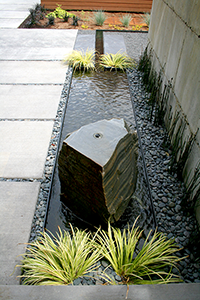 The 1.619 ratio was incorporated into the design of every detail including the steel wall, the water feature basin and rill layout, the proportions of the hardscape patio around the spa, and the custom spa itself. Built to the inch to follow the Golden Mean ratio, the custom spa sits in the center of this space and is the origin for the spira mirabilis. Visually, the double curved steel wall is a force when experienced from all sides. 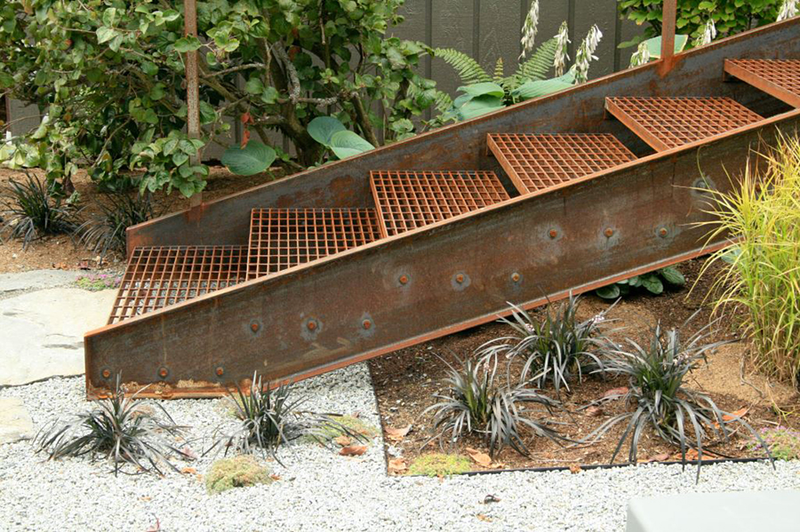 This organizing piece screens visitors at the front door, creating mystery for what lies below, and envelops and protects the lower private outdoor space of the spa and entertainment areas from neighboring houses, and the street. Not only does the steel wall increase in height as it curves around, it bends around a spiral line (not a radius) in the plan view. This challenging design was an engineering, fabrication and construction feat that couldn't have been actualized without a team of skilled participants willing to push the limits of the material and their methods. 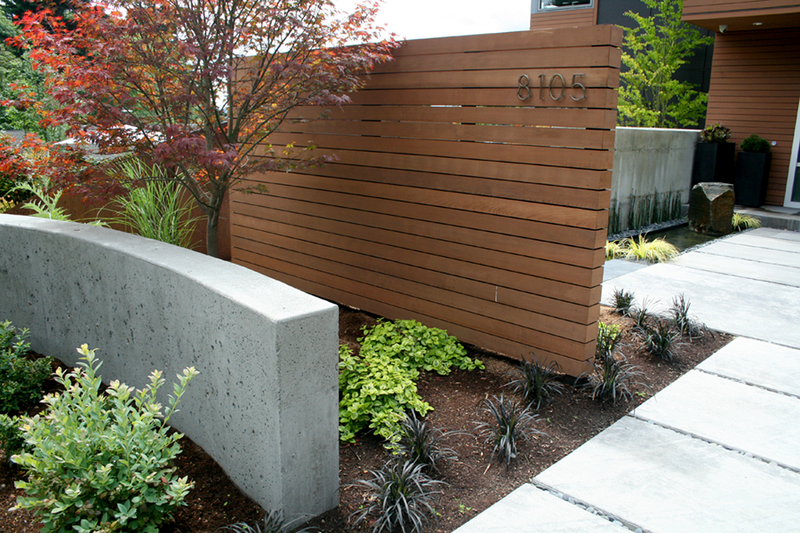 Inspired by the Bernard Trainor garden visited during the San Francisco APLD Design Conference, the swooping concrete walls at the entry are reminiscent of a female form and act as a boundary edge between the property and the street. The steel wall, engineered by Tom Bykonen, of Perbix-Bykonen, was fabricated in five pieces and assembled onsite using a skillfully maneuvered backhoe. The pieces are bolted together and fastened to an underground curved concrete block retaining wall. 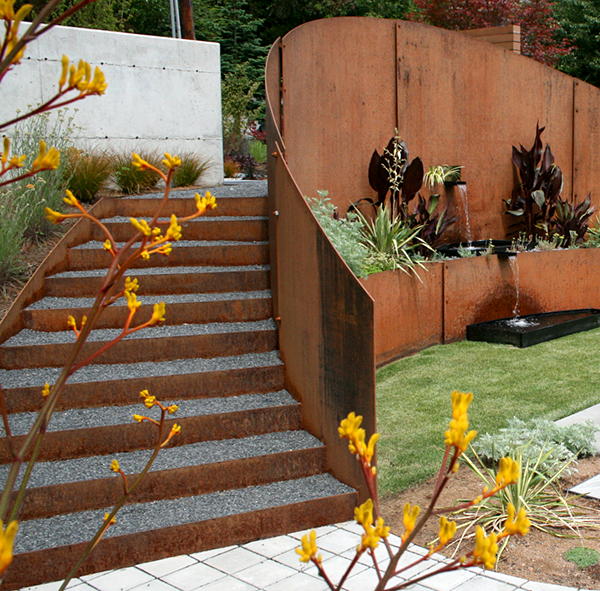 The steel wall is punctured at the entry grade level with a water-filled rill. The rill circulates water flowing out from a drilled rock into a basin at the front door level, turns a 90 degree corner and spills out into two falls below at the spa level. 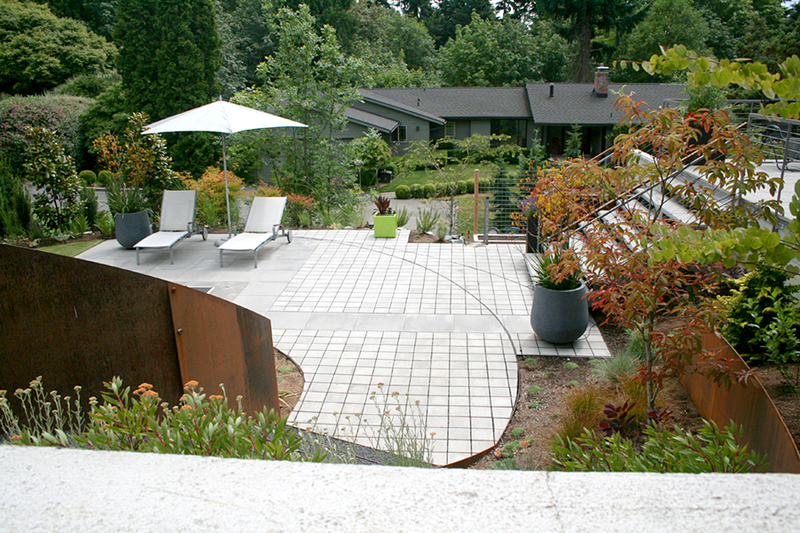 A curved wood bench with a curved back and curved steel edging set into a grid of pavers were details that accentuate and extend the line of the spiral around the patio. 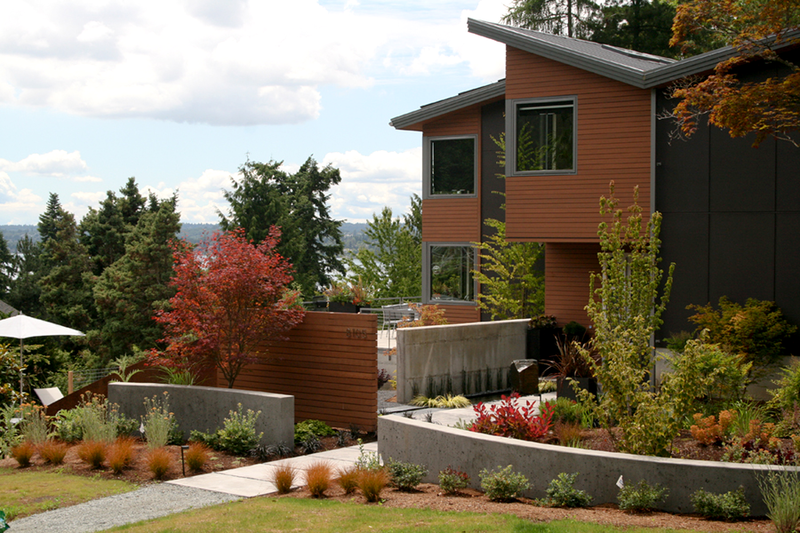 This project was masterfully created and brought to life by Quercus Landscapes. Plants that look great with rusty steel include; Oxydendrum arboreum, Cotinus 'Grace', Carex testacea, Euphorbia myrsinites 'Donkey Tail Spurge', Canna 'Australia' and Artemisia ‘Powis Castle’. A Mid-Century modern-styled home in Magnolia became the site of one of my favorite projects ever. It has been said that great clients make great projects, and that is indeed true of the landscape design process for this property. The young couple with strong design principles strived to bring the mid-century modern aesthetic to the exterior living spaces. Rhonda and Steve pushed me to design and refine until just the basics were left. 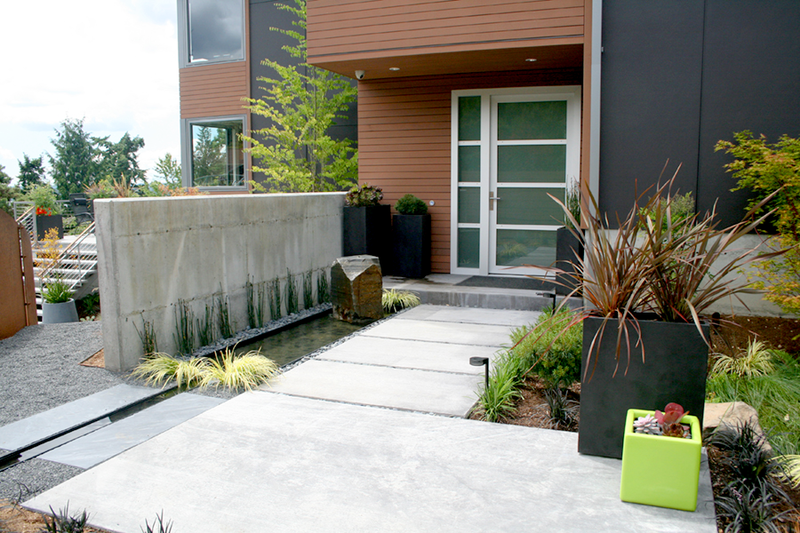 The result is a clean and simple yet warm and friendly design with a pleasing blend of functional hardscapes, intriguing plant combinations, and the sound of bubbling water. Cleaning up the once overgrown, perennial cottage garden, the front beds were interjected with architectural plant material such as Phormium ‘Sundowner’ and Fatsia japonica. The parking strip became a drought tolerant texture filled, planting strip with Nasella, Agastache, Pinus 'Helga' and sedums. 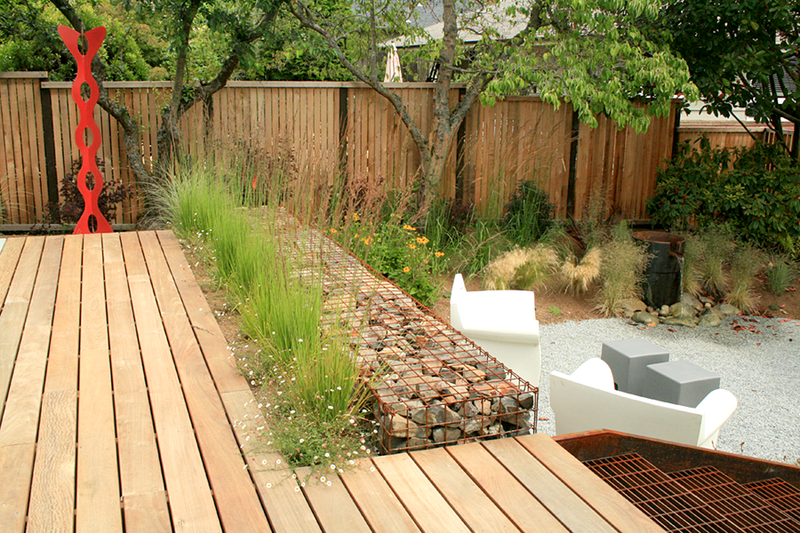 The beauty of the rear yard begins as you circle around to the back from either side of the house. 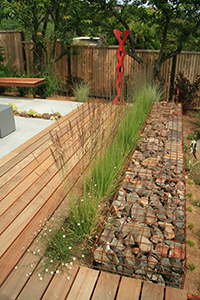 The concrete retaining wall was value engineered out of the design, and a functional and cost effective solution emerged by way of the gabion wall. 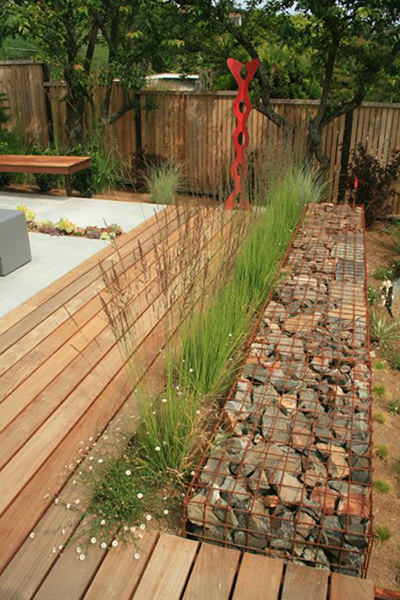 This 'rock-filled cage' became the primary focal line and organizational element of the rear yard. The orientation of the decking further enhances the sightline, directing the eye through the house, down to the deck and onto the red DNA sculpture that is the main focal point. Secondary to the main axis, a perpendicular line running west to east was highlighted with the custom steel stairs connecting the three terraced levels. 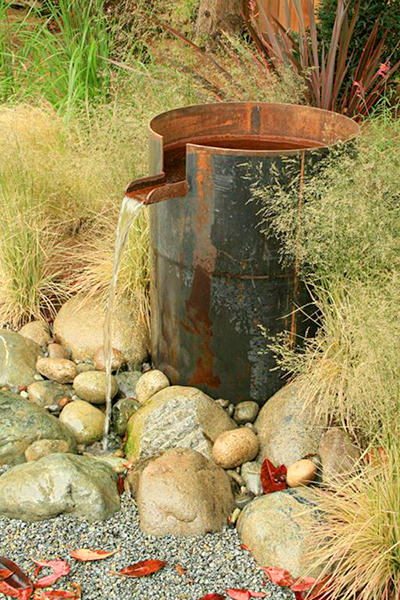 A steel drum water feature, pond-less and recirculating, was installed on the lower gravel patio level to bring intimacy to the space. The existing flagstone which had been very poorly installed by the previous owner was re-installed to create a new patio and pathway, without the environmental and budgetary impact of purchasing all new stone. The existing garden was filled with geranium, roses, rhodies and traditional cottage flowers, sloped down west to east and was a maintenance nightmare. But creating level areas for play and relaxation and interjecting a minimal plant palette was of utmost importance to the owners. New plant material includes Phormium, Stipa gigantea, Physocarpus, Miscanthus, and a variety of ferns and shade-tolerant perennials.